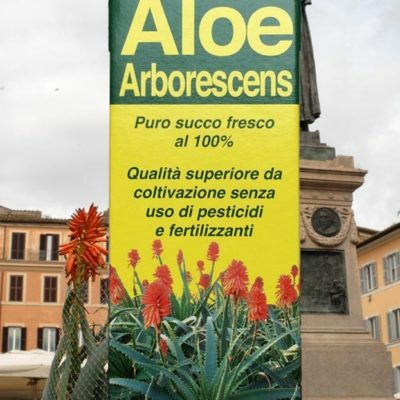 “Aloe Arborescens” is the bank of Osvaldo Fresia that cultivates its aloe plants in the lower Lazio, in the locality of Sperlonga. Here you can find it usually on Tuesday, Wednesday and Thursday from 10:00am to 3:00pm. 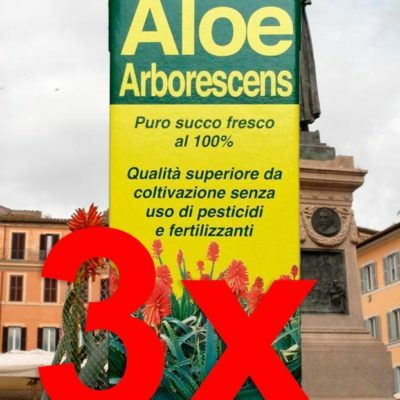 With its juice of aloe arborescens, however, Osvaldo participates in numerous fairs around Italy and therefore, if you come from far away, call it first (+39 3356466154) to ensure its presence at the Mercato Nomentano. 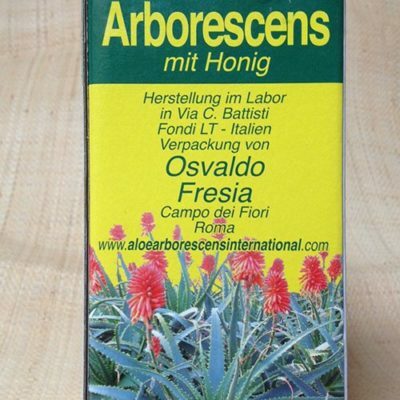 Aloe Arborescens is the variety of aloe recognized by all as the best. 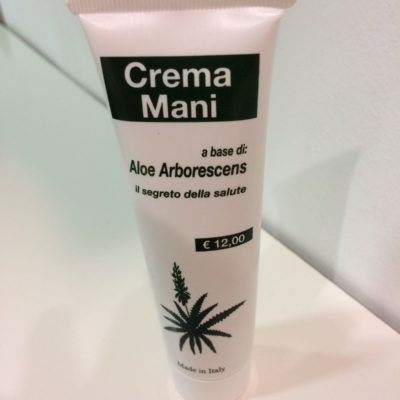 In fact, it has a high presence of active elements, mainly the aloin, responsible for the purgative effects as well as protective and antitumor properties of the aloe. 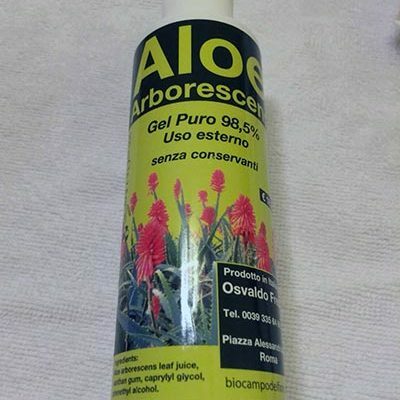 But besides the antitumor aspect (both preventive and curative), aloe has a purifying, nourishing, healing, anti-viral, anti-aging, anti-inflammatory, anti-bacterial, antibiotic, anti-pain and radioprotective action. 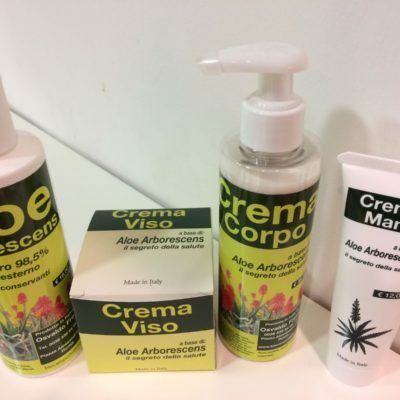 Natural mix of honey, propolis, pollen and royal jelly, the bomb is a tonic, energetic and extraordinary strengthening of the immune system. 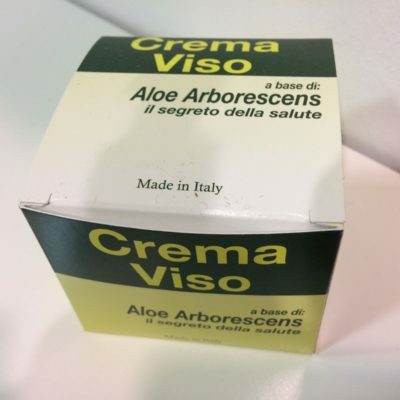 Taken regularly, it protects from typical winter disturbances. 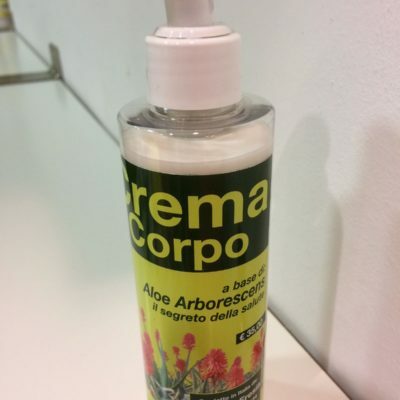 In short, a teaspoon of Bomba in the morning and forget about colds and flu coughs!